The story begins in a studio in downtown Manhattan in the early 1950s, the heyday of abstract expressionist painting. Rauschenberg began to invent new ways of artmaking that moved freely among media and methods. Innovation was from the very beginning the hallmark of his artistic practice. In his iconic Combines – hybrids between painting and sculpture – he scoured the neighbourhood for discarded materials which he applied to the canvas and covered with abstract paint marks. 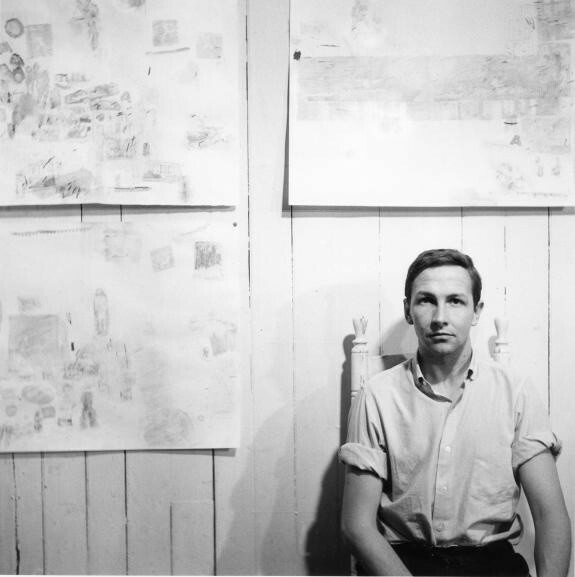 Rauschenberg’s quest for innovation, then and throughout his career, was fired by boundless curiosity, the joy of working with what was readily available, an enthusiasm for collaboration and a passion for travel. Painting, sculpture, photography, performance, electronics and digital printing – all are here and all were pursued in the spirit of questioning and reconfiguring the possibilities of art in the modern age. This exhibition is the first full-scale retrospective since the artist’s death in 2008 and the ultimate Rauschenberg experience. It is your one chance to see these major international loans together in one place, while discovering the full story of an inspirational and much-loved artist whose influence is still felt today.